There is saying that African men can eat whatever they please. For the amount of rice we eat as Nigerians. It’s God who has been our strength. 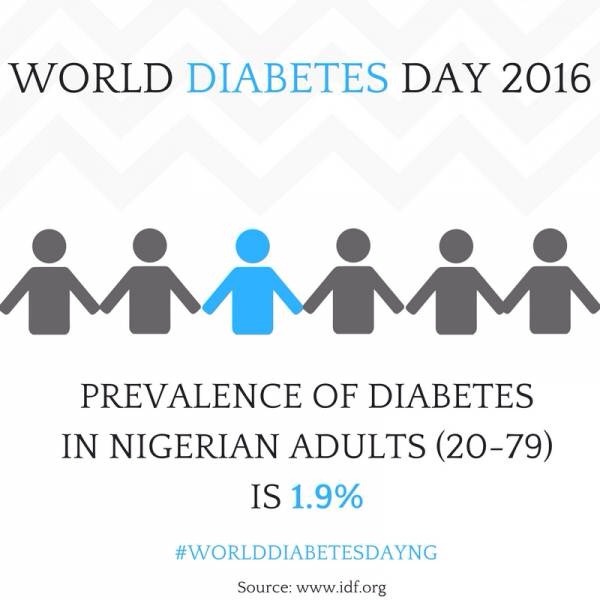 Every 14th day in November, is diabetes awareness day. When I received the email from Atim of Afrolems.com to talk about diabetes, I didn’t even know where and how to start. It’s like you have a passion to educate people and as much as you want to do it, knowing where and how to start is like huge deal. Anyway, I’ll start by explaining the different types of diabetes. Type 1 diabetes is the type of diabetes that is genetically transferred. It is a condition in which the pancreas produces little or no insulin. This condition cannot be cured but it can be controlled by diet and treatment. This condition typically appears during adolescent years and though it’s symptoms may vary and it includes increased thirst, frequent urination, hunger, fatigue, and blurred vision. 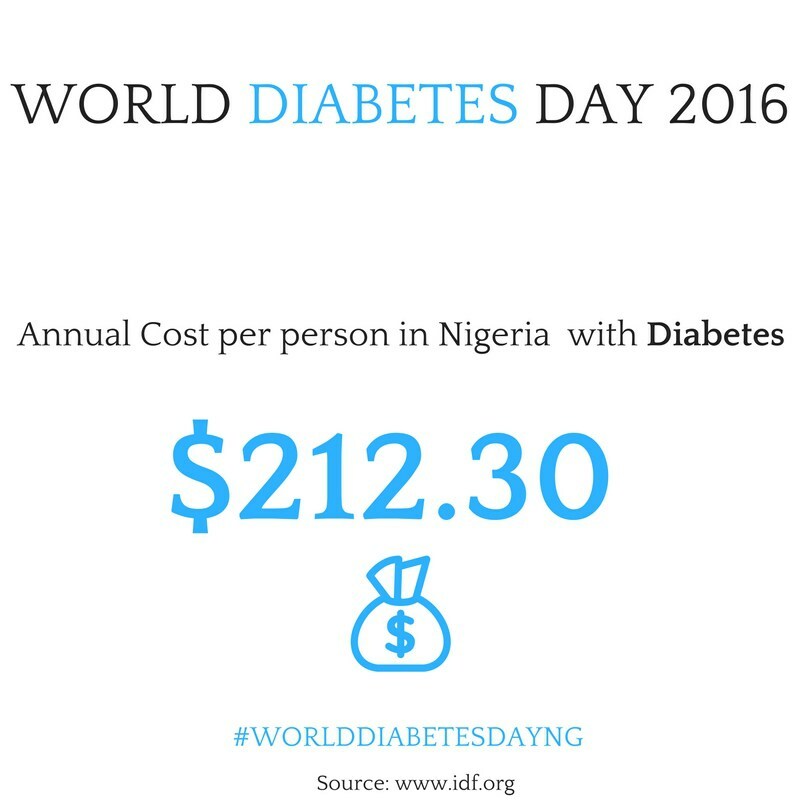 It’s treatment aims at maintaining a normal blood sugar level through regular monitoring, insulin therapy, diet, and exercise. Type 2 diabetes is a condition that affects the way the body processes blood sugar (glucose). It’s treatable by a medical professional and requires a medical diagnosis. It can last for years or be lifelong; depending on how well you take care of yourself. With type 2 diabetes, the body either doesn’t produce enough insulin, or it resists insulin. Symptoms include increased thirst, frequent urination, hunger, fatigue, and blurred vision. In some cases, there may be no symptoms. Treatment include diet, exercise, medication, and insulin therapy. According to my understanding, for a control or cure of the disease of diabetes, the patient is placed on a low carb and low sugar diet; depending on the type of diabetes and how these foods affects their blood sugar. For a break down of diet for diabetic patients, you have to see a dietician or your general health care professional. “A lot of issues- Lack of adequate insurance cover. People still pay through their noses for diagnosis, treatment and diet plans. The medications are not easily available and when they are, they are not easily affordable. Our diet too is carb rich and may also present a challenge to low income earners who need a diet modification. 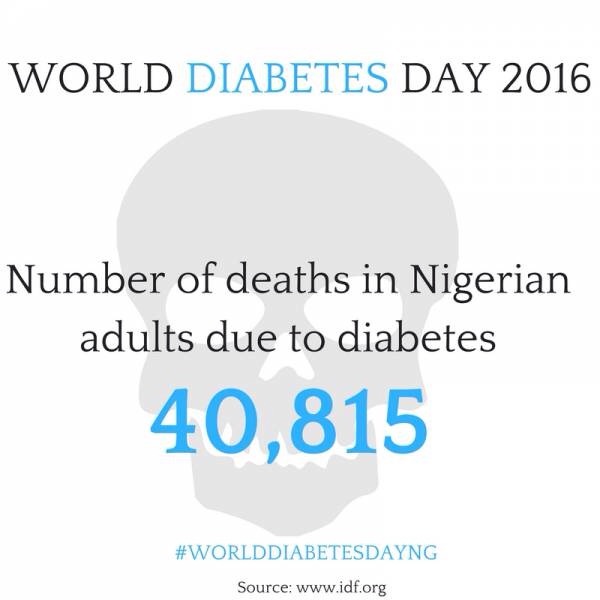 Our belief systems too mitigate against the proper management of diabetes. I once had a distant relative who believed he was not diabetic. He believed someone put a hex on him. Well, he is dead now from complications arising from poorly managed diabetes. “My dad is diabetic and he would not want to hear the word “check” talk more of “up” so I devised a means to help him out by making meals that are low in carbohydrates. 75% of our meals in this part of the country is starchy. “I lived with my aunt a few years back. She was diabetic. All I can remember about her condition are just nightmares and spending my nights at the hospital and watching people die. She was coming from work one evening when it rained heavily. So she was about crossing a road when her left foot stepped into a gutter. She came back home, all sore and wounded. Then she went and bought some costly local drugs (all those bitter kinds herbalists mix together and pour inside Eva water bottle to sell). She was taking them dutifully until her foot started swelling up and puss was oozing out. I’m talking about this kind of foul smelling puss coming out of her leg. She wouldn’t go to a hospital because she couldn’t afford the high cost of the bills. So her first son brought a nurse who was his friend and she came and cleaned the wound at regular intervals. One morning I couldn’t take it any longer because the smell of her foot filled the entire house. I called her elder sister (my mum) and told her to ask her sister to go to the hospital because she wouldn’t listen to me. The whole thing escalated that morning when the rest of her siblings also called and ordered her to go to the hospital. Her 1st son chartered a friends car and that’s how we all carried her to UNTH enugu because she couldn’t walk again. She was admitted for about a month and the doctor told us that we did right to bring her in on time because if it got any worse than it was they would have to amputate her leg. So I spent my days at the hospital whilst I was an intern working in enugu. It was such a nightmare in that UNTH. I wake up in the mornings and discover that someone opposite her has died or someone in another ward had died. I see people who are a shadow of themselves. Some can’t even feed themselves. They are given food through the nose. It was so horrific an experience. She got well after a long while and my mum and the other siblings had to hustle to get money to help with the bills. Today’s recipe is a healthy vegetable soup recipe. A mild and tasty version of vegetable soup a.k.a Efo riro and Salmon. with a healthy side of easy mashed potatoes. When I say a healthier version, I don’t mean it cannot be tasty. We shall just be leaving out the ingredients which could spike a change in a diabetic’s condition for the worse. The use of Iru i.e. locust beans and crayfish replaces the bouillon which we would normally use as a seasoning agent. 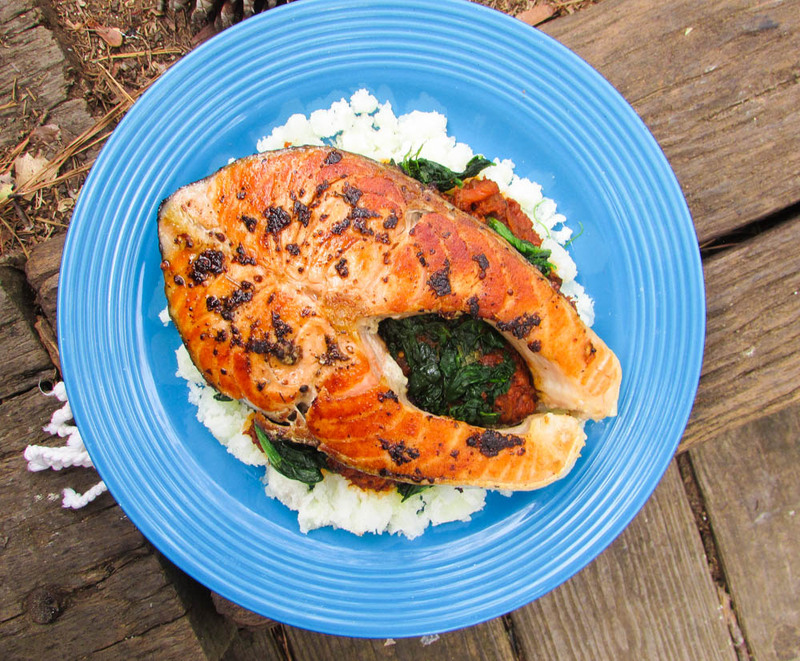 Then the Uziza crust on the salmon plays the role of a natural seasoning and takes the taste of the fish to a totally new dimension that could possibly rock your world. This recipe is very easy. Very healthy and very affordable for the average Nigerian family; whether in the diaspora or in the heart of Nigeria. Season the fish with some salt. Blend or chop the tomatoes and habanero and pour through a fine mesh sieve to remove excess water. Alternatively, season the tomatoes and pepper with a little salt and oil; then roast the tomatoes and pepper in the oven; then blend or mash. Heat the oil. Add the onions and garlic. Sauté until the garlic is fragrant and the onions translucent. Add the ginger, crayfish and tomatoes and cook until the tomatoes have rendered. Add the iru and salt to taste; then set aside. place in a pan, season with salt to taste and let it heat up for about 6minutes. wash, peel and pour potatoes into a pot. Pour some cold water into the pot, add some salt and cook until soft. using a fork, break the potatoes into little pieces; making sure to mash some and serve with the vegetables, fish and stew. This entry was posted in Eating Healthy, Healthey Holiday recipes, healthy holiday recipes, Healthy Holiday Recipes, Healthy Nigerian, Healthy Nigerian Dishes, Healthy Nigerian Drinks, Healthy Nigerian recipes and tagged deconstruted efo riro, Efo riro recipe, healthy Nigerian recipes, Nigerian food blog, Nigerians and diabetes, world diabetes day. Very informative and educative! Thank you much, Nigerian Lazy Chef!